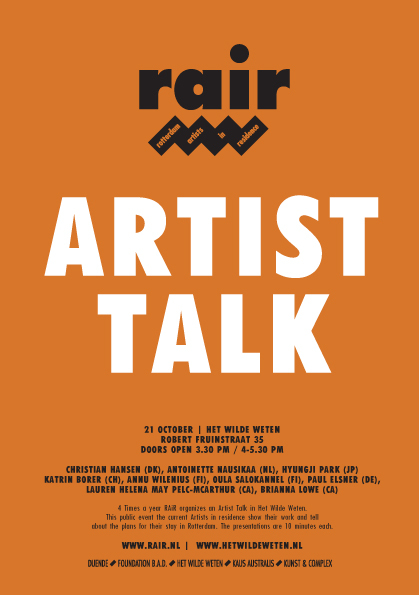 4 Times a year RAiR organizes an Artist Talk in Het Wilde Weten. For this public event about 10 current Artists in Residence show their work and tell about plans for their stay in Rotterdam. The presentations are 10 minutes each. The presentations will be in the former convent chapel of Het Wilde Weten.